I love History and Mysteries. When the two are combined, Jesse James is at the top of the list. 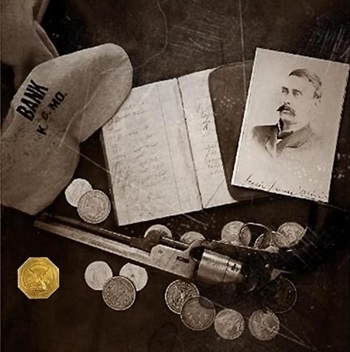 Author, Betty Dorsett Duke has proven that Jesse James wasn’t killed by Bob Ford in 1882 and that he enjoyed a long and happy life under the alias of James L Courtney in the small town of Blevins, Texas. I dedicate this blog to Jesse James, Betty Dorsett Duke, her fellow researchers, their search for the truth and any new info they discover. PS Make sure to check out the ‘Books’ tab which is made visible by hovering your mouse over the ‘About’ tab. I like western history as well… lots of inspiration. Very cool! Glad I found your blog. Thanks for the compliment, likewise.